THE FINAL CHAPTERS: WHAT IF? What if Mary had insisted they wait until the baby had arrived before leaving on their trip to Bethlehem? 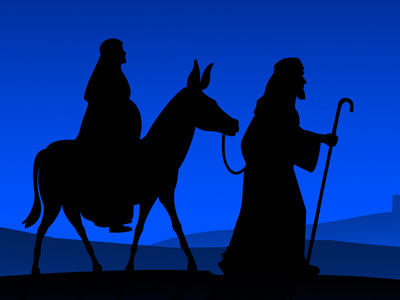 What if Joseph owned a faster donkey, and they beat the crowds and found a place to stay in the inn? 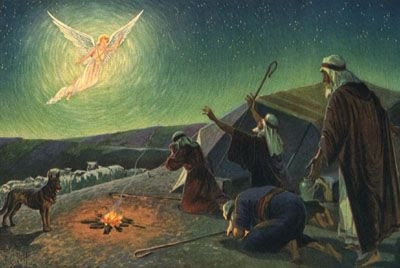 What if the shepherds had fallen asleep and missed the angelic visit? What if their sheep had strayed and they were searching in the hills and caves? 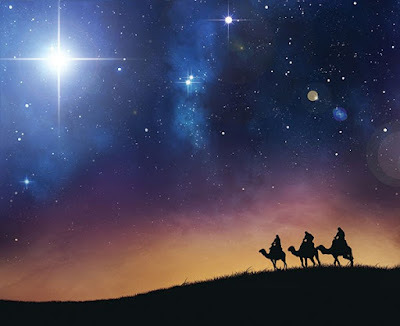 What if a storm had blown in and the skies were covered with clouds and there were no stars--even the brightest was not visible for The Wise Men to follow? We serve not a God of chance, but a God of certainties. It happened exactly the way it had been foretold hundreds of years before. When God is in the midst of our plans---there is no need to be concerned over the What If's. His plan will come to fruition--exactly as He has promised. Exactly as it did that first Christmas night all those years ago. What you say, Lulu, is of course right. God had planned it all many years before and it was perfect. As indeed we are all perfects in our own way. All are His creations and there are no rejects from God's production line. However ... (there's always a however in my comments), however ... I wish to comment on your first image above. The donkey's legs are too thin to carry the weight of anyone riding it. Do you know who drew the image, and can you rectify the mistake. I have tried doing so using MS Paint but was not successful. The second image is OK.
Other than that, great post Lulu. If you could see my legs, you might wonder how they could carry me. I come from s long line of bird legs! Merry Christmas, Amy!! Love you! We were just discussing this very thing, and my son goes, "Then it wasn't on God's timing." A great post, Lulu. Love what you all discuss!! Merry Christmas to you all! Not a God of chance, but of certainties . . . Amen, Loralu!